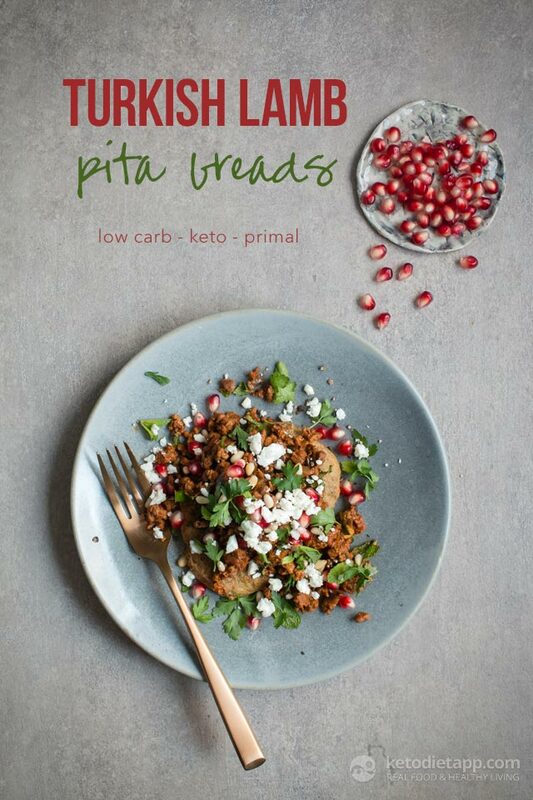 Pitta bread as you once knew it might be out with all that heavy, carb laden stodgy bread, but today I’m sharing a delicious recipe using my cauliflower pitta breads as a base and topped with a super tasty Turkish lamb mince, crumbly feta, pomegranate and pine nuts. These Ketogenic friendly pizza breads are an easy way to sneak more vegetables into your diet plus they are low-carb, light and fluffy thanks to the cauliflower. 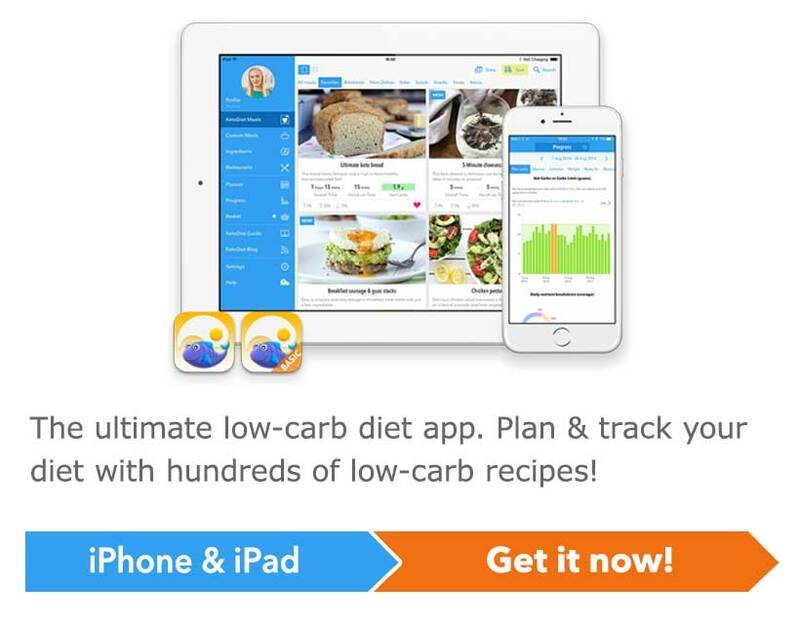 I’m here to show you can still enjoy all your favourites on Keto, you just have to get a little bit creative! 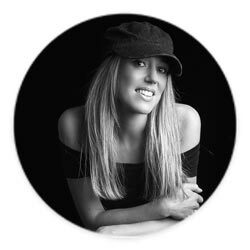 I hope you love this recipe as much as I do. To make the cauliflower pitta breads, preheat the oven to 190 °C/ 375 °F. Chop the florets into chunks and place in a high speed food processor. Using the S blade or grating blade, pulse until it resembles a rice sized consistency. Takes about 10 seconds. 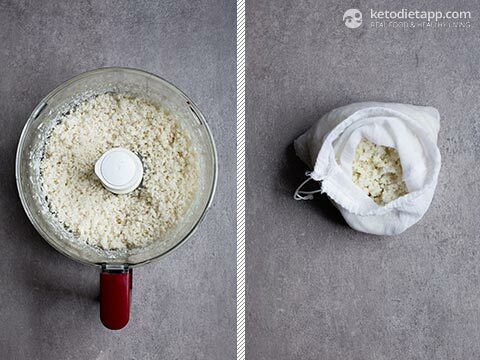 Place the cauliflower rice in a bowl with 1 tablespoon of water and cook in the microwave on high for about 4 to 5 minutes (times may vary slightly depending on the wattage of your microwave.) Transfer to a muslin cloth or nut bag and squeeze out the excess water. If you don’t have muslin, a clean, fine tea towel would also work. Place the flax and chia seeds in a high speed blender like Vitamix and blitz for 10 seconds until it resembles a flour consistency. Add the baking soda, coconut flour and cauliflower. Crack open the eggs into a deep bowl. Add the olive oil and whisk with a fork. Add the dry to the wet ingredients. Season with a pinch of salt and pepper and mix well. Allow to stand for 2 minutes to thicken. Line a baking tray with greaseproof paper. 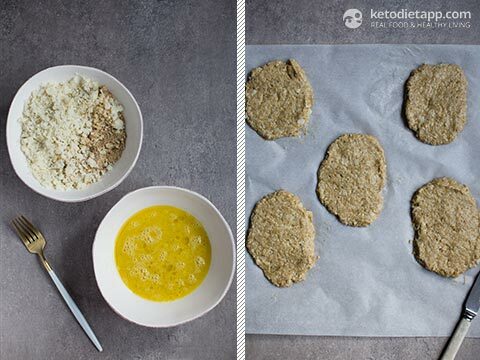 Split the low carb base mix into 4 and using a spatula flatten into pitta bread shapes about 1 cm (1/2-inch) thick. Place in the oven for about 18 minutes (Option to flip over after 10 minutes but not essential). Whilst the cauliflower pitta breads are in the oven, start the Turkish lamb topping. 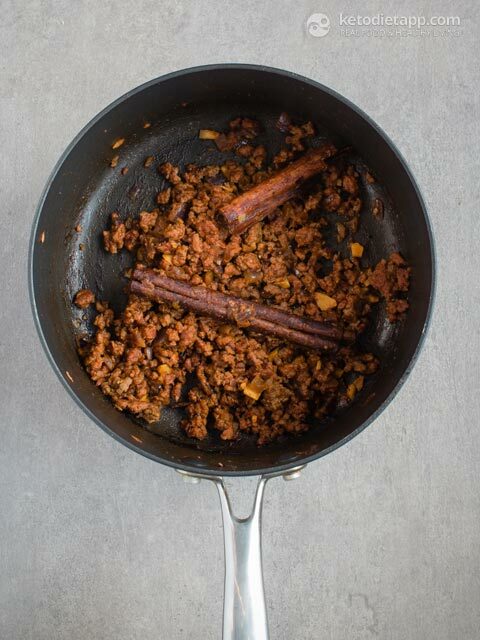 Place the lamb mince into a dry saucepan. On a medium heat, fry the lamb for 10 minutes, breaking up the mince with a spatula so it’s nice and fine and releases its juices. Add the onion and garlic to the mince and cook for a further 5 minutes. Add the cinnamon sticks, cumin, paprika, tomato paste, salt and pepper and cook for a further 1 minute. Add the stock, turn down the heat a touch to a low-medium simmer and allow to cook for approximately a further 8 minutes, or until the stock has absorbed into the mince. Finely chop the mint leaves and parsley. Add the mint and half the parsley to the mince and mix well (reserve the remaining parsley for topping). Remove the cinnamon sticks. To serve, place a cauliflower pitta bread on a plate. 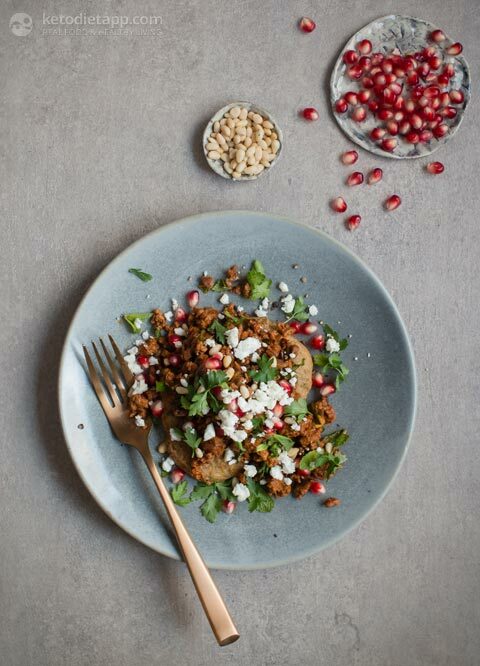 Top with the Turkish lamb mince, pomegranate seeds, pine nuts, crumbled feta and a sprinkle of parsley. Eat immediately, or store in the fridge for up to 4 days.